The Yamaha CZR15 offers superb clarity and best-in-class SPL performance. 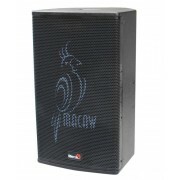 This 2-way bi-ampable PA speaker boasts 1,600-watt power handling, a 33Hz–20kHz frequency range, and can tackle any application you throw at it. Great-sounding, custom-designed transducers deliver vivid, soaring highs and rafter-shaking low end. 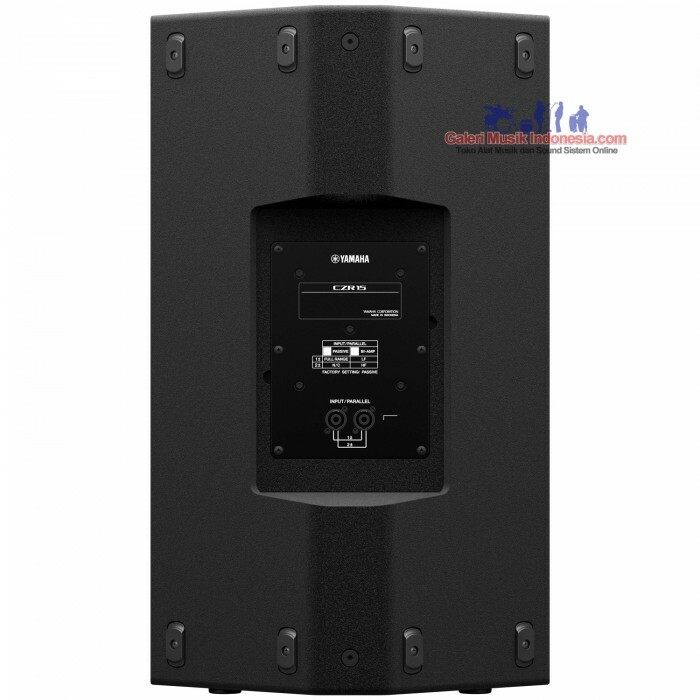 As a passive PA speaker, the CZR15 integrates with any configuration, thanks to its rotatable horn. 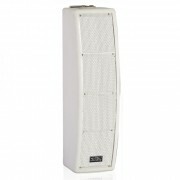 It can also operate effectively as a stage monitor. 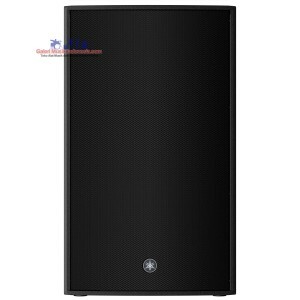 This speaker can take full advantage of processor tuning settings when used with a Yamaha PX Series amplifier. 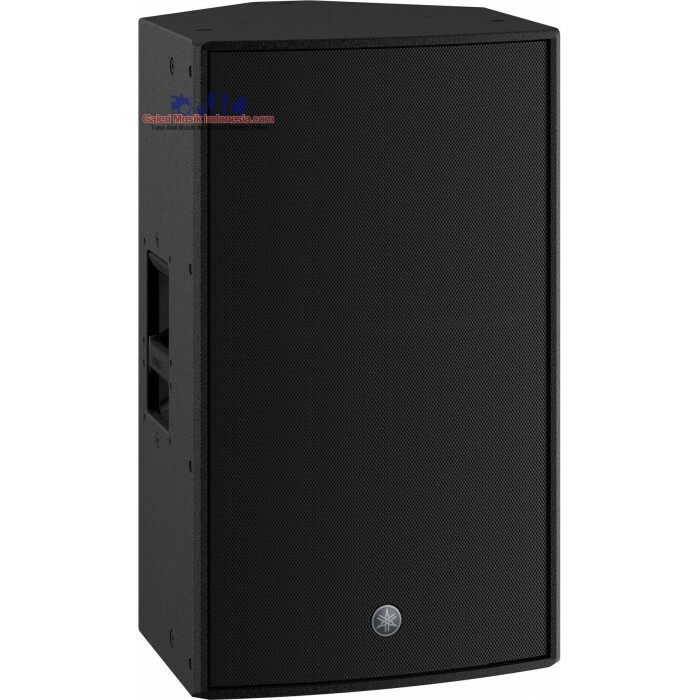 The CZR15 employs a lightweight, yet durable, plywood cabinet with a premium-grade polyurea coating. The Yamaha CZR15 is loaded with great-sounding, custom-designed transducers. Its high-frequency transducer includes a 2-inch voice coil and 1-inch throat compression driver, a titanium diaphragm, and neodymium magnet housed in a die-cast aluminum frame. 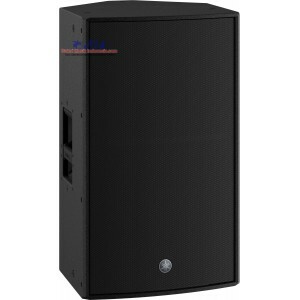 Its low-frequency transducer uses a large 3-inch voice coil, cast-aluminum frame, and powerful, yet lightweight, neodymium magnet to handle the chest-thumping low end that the CZR15 delivers. The CZR15 isn't just all about power, however. 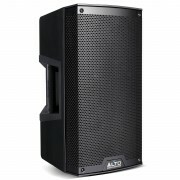 Its low-end response is tightly controlled, especially in the mid-bass and vocal range, assuring crystal-clear sound reproduction — even at cranked volumes. The CZR15 integrates with any configuration, thanks to its ultra-flexible design. Its rotatable horn allows vertical or horizontal mounting. Benefit from a 90x50° dispersion from a vertical position. Enjoy smooth, level coverage, by virtue of the CZR15's constant directivity horn — its innovative design minimizes the roll-off that conventional horns often produce. If you power the CZR15 with a Yamaha PX Series amplifier, you can take full advantage of its dedicated speaker processor tuning settings. Fine-tune output channels with equalization, and add limiting to protect your speakers from dangerous signal spikes. 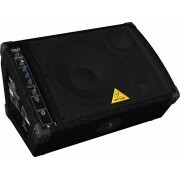 Dial in crossovers to integrate subwoofers and fill speakers. Use the built-in delay network to ensure phase coherency across all speakers in larger rigs. And all of these advanced features are easily accessible from the LCD display.